At the age of 23 and suffering from depression and shyness, Sarah Moore moved from her family home near Edinburgh to the beautiful but remote Scottish island of North Ronaldsay, a place with a population of fewer than fifty people. As part of BBC One's Our Lives, this documentary follows Sarah's life on the island and the people she meets there. 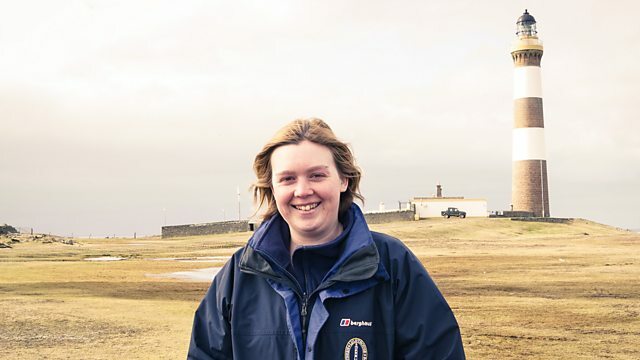 Like many remote communities, North Ronaldsay has its fair share of struggles - whether it's the cancellation of air services that bring vital supplies, extreme weather conditions or the need to hold down multiple jobs to make ends meet, Sarah has had to adapt to an entirely new way of living and thinking to survive. But the island has changed Sarah. She is much happier and she says can be the person she was always meant to be here. She has more opportunities to work, try new things and broaden her horizons. Ironically, she has a far better social life than when she lived in Edinburgh and has become an integral part of the community. But that community is under threat, with a spiral of depopulation, little employment and nowhere for people to live. Recent years have seen an exodus, particularly of young people, from the island. If things don't change soon she may no longer be able to live on the island that she says saved her life. This character-driven documentary looks at a unique way of life in an incredible place that may not be around for much longer. As Sarah works her six jobs, can she help save the island that saved her? Sarah Moore moved to North Ronaldsay and became the person she “was always meant to be”.